Come out to Off The Strip At The Linq and help us support one of our courageous locals. Leah is in the fight of her life against this disease, and we are doing everything that we can to offer her the love and support that she needs during this difficult time. 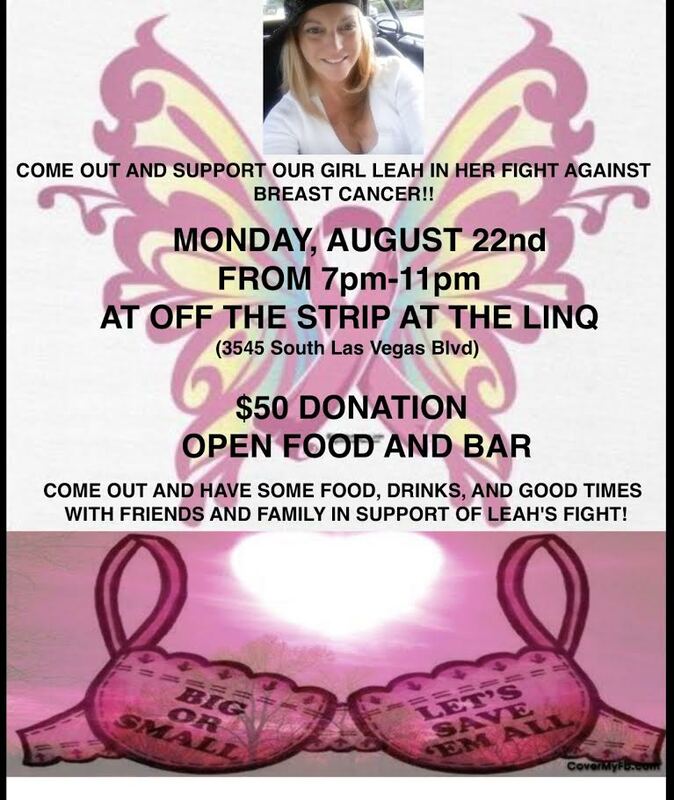 Please help us support Leah! You’re in Las Vegas. It’s time for you to take advantage of the hidden gems. Off The Strip is one of the only locations in Vegas that offers TWO different happy hours! That means that there are two opportunities for you to save on appetizers & drinks. 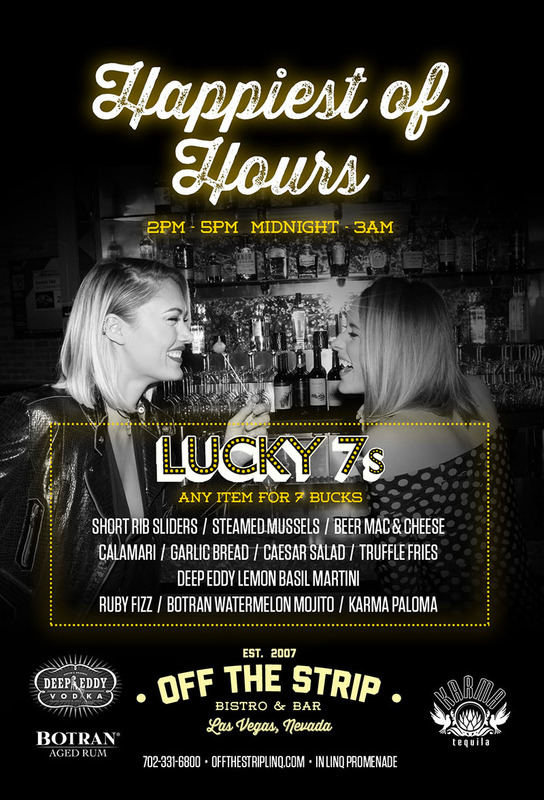 It’s all about those Lucky 7’s – ANY of our happy hour items are just $7! No other Bistro & Bar offers this deal. If you’re in Las Vegas for Christmas, and wondering where you should go to treat yourself (and your loved ones) to a Christmas dinner, look no further. 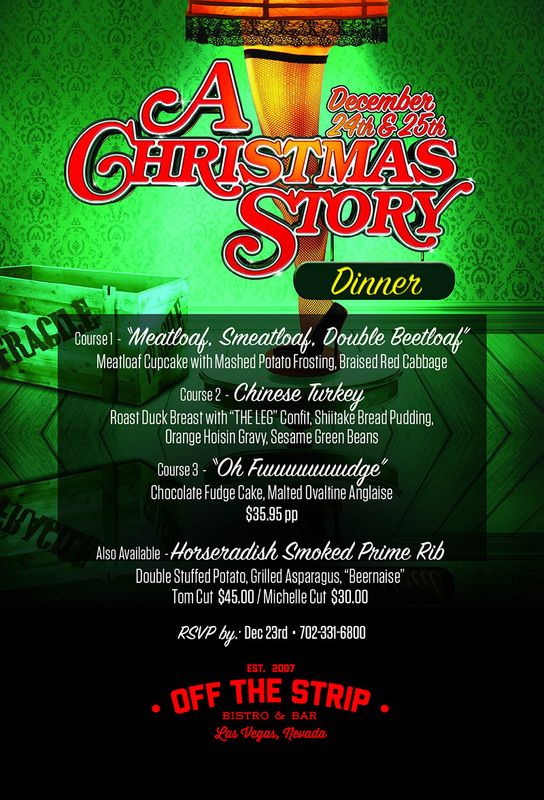 Off The Strip has put together a superb Christmas Eve & Christmas dinner that will appease even the pickiest of eaters. This year we have also themed our dinner around the time-honored classic movie, A Christmas Story. So join us in celebrating Christmas. While you’re here, you’ll be treated like family. Space is limited so please call 702-331-6800 to RSVP for a table by December 23rd.